Your source for Longitude news is the Summer Festival Guide. Disclosure, Ben Howard and more added to the 2014 lineup! 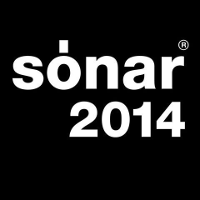 Bonobo, Daphni, Jon Hopkins and more have been confirmed for the very first Sonar Stockholm taking place in February 2014. Heading for a fifth anniversary celebration, over five days and three stages, Soundwave Festival Croatia has curated a formidable lineup that will combine with the always-electric Soundwave atmosphere and the glorious holiday surroundings to make this a trip to remember for a lifetime. It is with great pleasure that we are able to announce the first wave of artists who will be playing at the 5th edition of Soundwave Festival Croatia!